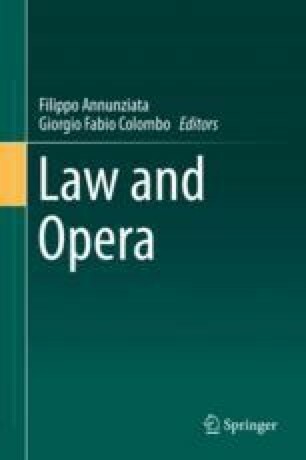 The paper focuses on the legal protection for critical editions of operas, considering the typical characteristics of these works with particular emphasis on the nature of re-elaboration and the originality standard required for copyright. These topics started to receive judicial and legislative attention at the end of the last century, with different approaches especially emerged in the European Union countries, where there is still no decisive evidence of a full harmonization in the field of copyright. By adopting a comparative perspective on the EU system, this paper provides a broad overview of national laws and relevant court decisions related to the critical edition, pointing out some crucial aspects such as the so-called “copyrightability” of a derivative work and the issues of authorship. Who could own the copyright to a critical edition of a pre-existing opera? Is it possible to define the critical edition as a restoration that gives a “new look” to the opera? How to draw the fine line between counterfeiting and creative elaboration? These are some of the basic questions that this essay critically examines and attempts to answer, taking into account not only the legislative framework but also the various solutions prospected by intellectual property scholars and commentators regarding the critical editing of music.